I just tried out Case4fun’s NFC tags and I found them useful. NFC tags are still new to me, I had to do some research on how to use these actually. Since the company does not include any literature with the product I found it hard to figure out how to use them. I eventually found a website that discussed different apps you can use these with. I found an app in the apple store that was free and began to play around with these. My husband uses them more then I do. He likes to use them as business cards. He will put all of his information onto a tag and it can be read by other phones. It’s a super fast way to share your information. However, they can have the ability to do a bunch of things, you can program them using the app and then when your phone is in contact with them it will perform the programmed activities. Activities might include storing ticket information for an event, storing information to be retrieved like a business card, perform tasks like turn off the sound on your phone, change to wi-fi, etc. They are convenient to have around. My only negative is that it did not have any information included. 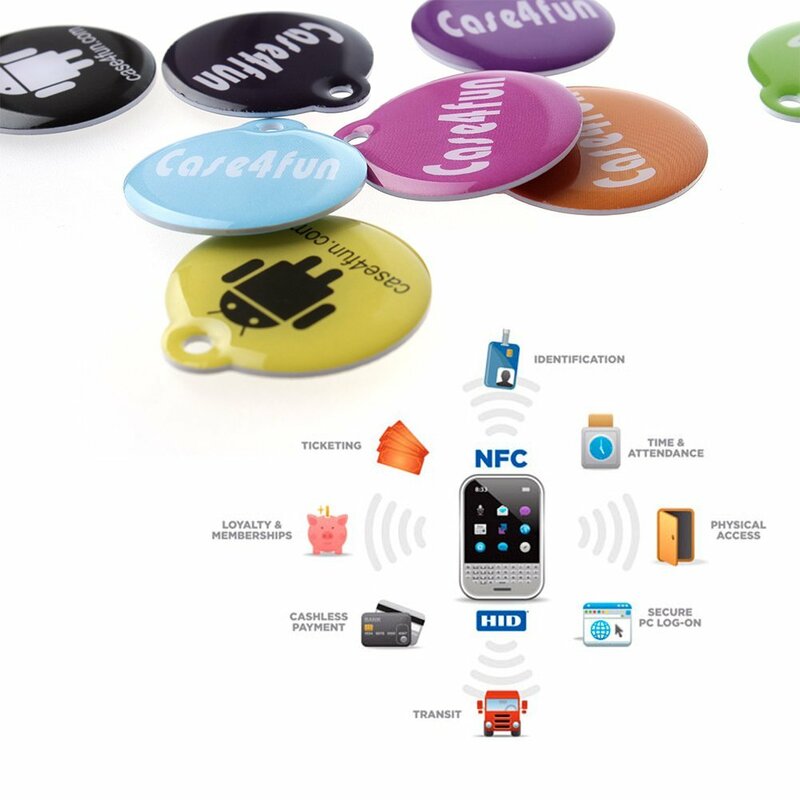 Stylish design, PVC construction, Colorful Chips, the most durable Programmable Waterproof NFC Tags.